There are many teams in Washington DC that consume power and prioritize their self-interests. It is a zero sum game where there is often one winner and one loser. Often the political class wins and Americans lose. It is a power game where the people we elect consume power while ignoring those they represent. Because of “modern politics,” we quickly discount those we elect to represent us and accept low expectations. I learned an important lesson about the political class back in Operation Iraqi Freedom (OIF) 01-02 while serving our country. There is a significant segment of our political class that looks down upon the military, move us around like “pawns” on a checkerboard and position the military as their risk takers so they have political cover if their plans fail. They need someone to blame when their arrogant, uninformed and poll tested plan fails. The military tends to be a good foil for that because we dutifully follow their directives even when we know the probability of success is low. We are trained to debate the plan until the decision is made and then we will own the plan and prosecute the plan to the best of our ability. A light was shed on this soldier when a Colonel explained to me as a Lieutenant Colonel Select, “Colonel is the last rank you will ever earn. It’s all politics from here.” I never much thought of this for several years until OIF 01-02 until I watched a cadre of Flag Officers in CJTF-7 watch me buck the system and pushback against the number one diplomat in Iraq about his “no Baathist” for hire policy, while they remained silent. This was an informative event where Colonel “Hotel’s” words rang true in the moment. Fast forward to present day. LTG Mike Flynn is an American patriot and hero in many respects. He selflessly served his country spending countless tours in combat putting his life at risk while his family prayed for his safety also sacrificing in his absence. Mike Flynn is guilty of being too vocal as a retired military officer, picking the wrong side in the Swamp to support and perhaps lacking the political skills to navigate today’s Washington. For the vultures and political class that comprise our nation’s capitol, Flynn was an easy “Pawn” to target, exploit and manipulate since he lacks political standing. Ultimately, Flynn is guilty of lacking the experience in the ways of DC and his ultimate crime of supporting and believing in President Trump. 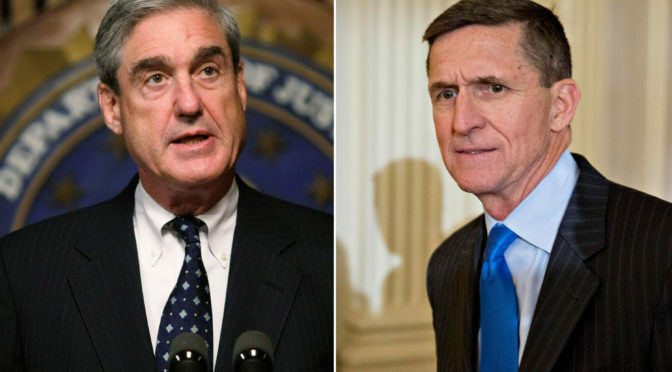 Mueller and the Special Prosecutors office have their Pawn that they can pressure and manipulate in Mike Flynn. Military officers in general are ideal because they are faithful, have a conscience, believe in their oath of office and put personal integrity and courage above all. Mueller is a swamp dweller. His budget is unlimited. We all have a breaking point and it is usually centered around our families well-being. Mike Flynn is no different. He’s a great American. He lied to the FBI. Who do we hold accountable for the FBI lying to America for the past 24 months? What is Mueller’s true agenda? Who holds him accountable? Fake news, manufactured protests, collusion between the media and political class rejecting the will of the American people electing President Trump. Mass hysteria from the “main stream” media; ridicule from the late night comic shows and incoherence from Hollywood showcase who the highly intolerant elites are and how they place themselves above the rest of us, will of the people be damned. What is perhaps even more discouraging is the notion that intelligence professionals with the support of some senior leaders in Intelligence Agencies are intentionally leaking information to embarrass or disparage their President. This is treasonous and arguable without precedent. All intelligence professionals sign non-disclosure statements and it is a crime to leak or share intelligence with people who do not have the proper clearance, access or need to know. This is not in America’s interests. While these few individuals bring great discredit to their agencies and themselves, they are undermining American leadership, emboldening our enemies and behaving in a criminal manner. What does all this mean less than one month into the Trump presidency? The Alt-Left, Never Trump Movement has achieved their first “takedown” or kill of a Trump Administration official by creating false narratives and exaggerating a picture of a relationship between General Flynn and the Russians. General Flynn wasn’t born yesterday and as a career intelligence professional, he knows much more than you and I ever will on how our adversaries operate. And, oh, just a few years ago, the Hillary Clinton Russian Reset “that was easy” button was praised by the same media. Hmmmm. With the resignation of LTG Retired Mike Flynn, Trump’s National Security Advisor, there is glee in the swamp. 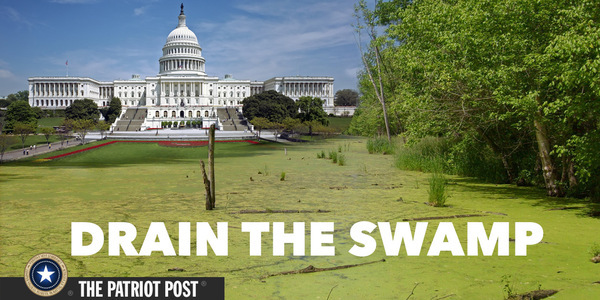 The plotting to undermine the Trump Presidency is now emboldened in the DC swampland but as Trump fully recognizes, he’s not running a popularity contest. As a CEO, he’s in the results business. Let’s hope for the sake of America, he can remain laser focused on what ills America and not be detracted by the manufactured Kabul of negativity that is the Alt-left, main stream media, political class and for-hire-protestors funded by Soros and other extremists. Finally, keep the faith America. There are quite a few big gators in the swamp that have grown quite large after 30 or 40 years in DC. It is going to take a while to remove them and return them to the areas they migrated from before they made DC their permanent home like a major rat infestation. President Trump is on the hunt and has many, many Swamp People willing to help drain the swamp, Bigly! Author Guardian 6Posted on February 16, 2017 Categories Hater, Trump, Undermining AmericaTags Drain the swamp, featured, Trump Flynn1 Comment on Takedown!